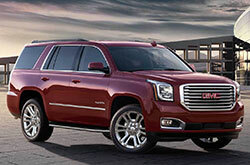 The GMC Yukon is back on the marketplace once again, continuing its place as a leader in the large SUV segment. For the 2017 model year, the Yukon is getting some terrific new safety features, as well as newly available cooled seats and a head-up display. If you've had your eye on the 2017 GMC Yukon in the Phoenix area, then take a look at our in-depth review of the family SUV to see what it has to offer for its latest model year. Shoppers looking at the 2017 Yukon will find a lot to choose from on the SUV, including two models (base Yukon and Yukon XL), and three trim levels (SLE, SLT and Denali). The base SLE offers standard features such as foglights, 18-inch alloy wheels, front bucket seats, Bluetooth connectivity, an 8-inch touchscreen, automatic wipers, remote keyless ignition and entry, cloth upholstery and tri-zone automatic climate control, just to name a few. 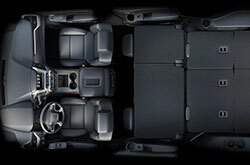 The mid-level Yukon SLT adds leather upholstery, a hands-free liftgate and a wireless charging pad to the SUV, as well as the entire contents of the Enhanced Driver Alert and Convenience packages. Finally, the top-of-the-line Denali model, recommend by several 2017 GMC Yukon reviews, comes with everything from a larger engine, active noise cancellation, second-row bucket seats, 20-inch wheels, a Magnetic Ride adaptive suspension, a 10-speaker sound system and the newly added head-up display. The 2017 GMC Yukon in Scottsdale can be powered by two available engine selections: a 5.3-liter V8 (standard on the SLE and SLT), and a 6.2-liter V8 (standard on the Denali). The 5.3L engine produces a very powerful 355 horsepower, though many 2017 GMC Yukon reviews suggest the 420-hp 6.2L if you're looking to get the most power out of the SUV. The 5.3L and 6.2L are paired with a six-speed automatic and an eight-speed automatic transmission, respectively. The 2017 Yukon comes with a variety of safety features, making it a leading choice for many Valley shoppers who are looking at the Yukon as their next new family car. 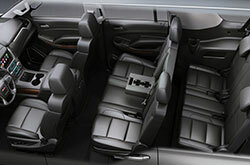 Standard safety equipment on the SUV includes everything from anti-lock disc brakes, front-seat side airbags and center airbags to full-length side curtain airbags and traction and stability control. 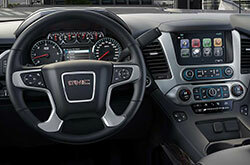 On top of that, drivers will also find a standard OnStar system and a new teen-driver function. The 2017 Yukon is now at Van Buick GMC, so stop by today to take this bestselling SUV for a test drive in the Valley! 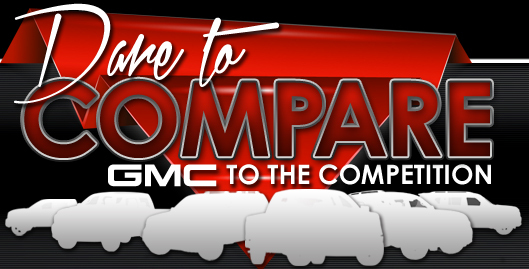 If you're not sure the 2017 Ford Expedition, Toyota Sequoia, Dodge Durango and the Chevrolet Tahoe are suitable for you, then check out a 2017 GMC Yukon near Phoenix. You could find that with its wealth of great features and fun-loving personality, it complements your individual needs. Once you've gathered the information you want for the 2017 GMC Yukon, browse our website to find information about current lease incentives from Van Buick GMC. 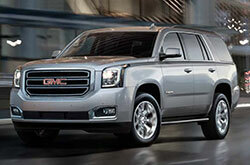 Think you'd like to own a GMC Yukon and looking for attractive finance offers? Then visit us right away! Our expansive review makes it easy and fast for you to access the info you need, and we hope it assists you when it comes to making a confident vehicle purchase. 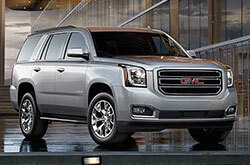 It's beyond doubt that the fantastic new GMC Yukon is worth considering; visit for a showing at Van Buick GMC to see the stately model up close. Also, prior to your visit, you can see its dapper design from all ends by watching our video clip.